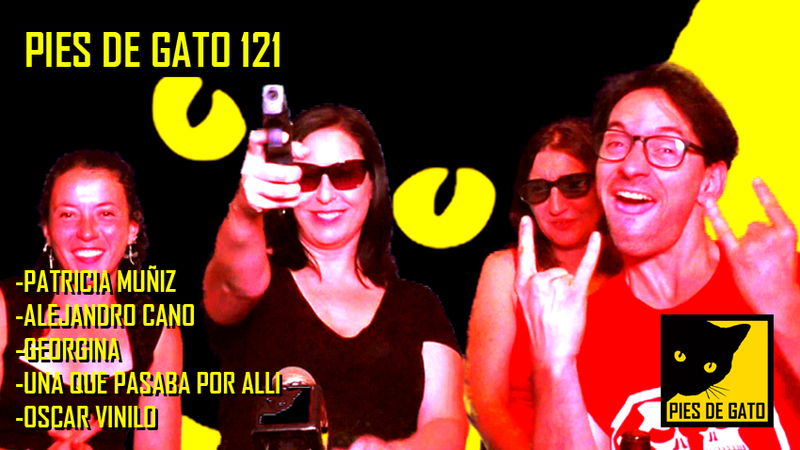 Pies de Gato 121, con los invitados Patricia Muñiz, Alejandro Cano, Georgina, Una que pasaba por allí, y Oscar Vinilo. This entry was posted on 16/07/2018 at 16:58 and is filed under . You can follow any responses to this entry through the RSS 2.0 feed. You can skip to the end and leave a response. Pinging is currently not allowed.